We’ve all heard about the benefits of Omega-3, EPA and DHA. But we’ve also heard about potential mercury toxicity from fish, and possibly dioxins and polychlorinated biphenols (PCBs), as well. With all of the conflicting information available today, some may decide to just avoid fish altogether. But the research shows that this may do more harm than good. Heart disease accounts for one-third or more of all deaths in developed countries, for persons over the age of 35.1 Polyunsaturated fatty acids, EPA and DHA have been identified as the ‘active constituents’ in fish.2 Studies show that 250-500 mg/day of EPA and DHA may lower the risk of coronary heart disease and sudden death by 25 percent or more.2,3 Not only can eating fish lower your risk for heart disease, it may also aid in the prevention and/or treatment of certain diseases such as dementia, cognitive decline and depression.2,3 Fish oil may even reduce high triglyceride levels, a major risk factor for heart disease, depending on the individual.2 But remember, not all fish are the same. “Oily” fish (such as salmon, herring and sardines) have shown a stronger correlation to lowering risk of disease than “lean” fish (such as cod, catfish and halibut).3 Sounds great! So if 250-500 mg/day of EPA and DHA from “oily” fish will lower my risk for certain diseases, isn’t consuming more fish or fish oil better for me? Probably not. Studies have shown this amount of EPA and DHA to have benefits, but more than 250-500 mg/day did not increase the amount of benefits.2,3 There’s also that pesky bit about mercury exposure. There are a couple kinds of mercury that can cause toxicity: inorganic and organic.4 Inorganic mercury is turned into organic mercury (methylmercury) through microbial activity and is readily absorbed in human and animal tissues.3 Mercury levels can build up with a diet heavy in animal-based foods, since this includes consumption of tissues containing mercury.3 This is why large, predatory fish are bad for you. These fish eat other fish, and the more fish they eat, the more mercury they may contain.3 So it makes sense to avoid fish such as shark, swordfish, king mackerel, golden bass, pike, walleye, orange roughy, bigeye tuna and tilefish (large, predatory fish).3,5,6 Want the health benefits but less mercury (there’s no such thing as a fish without some mercury)? Try anchovies, mussels, oysters, salmon, sardines or trout.5 Tilapia, cod, catfish, shrimp and Pollock also have lower amounts of mercury, but may not contain enough DHA to be effectively beneficial.5 For a comprehensive database on mercury levels in fish, try the Stonybrook University Seafood Mercury Database. So, now mercury exposure is a concern but how big of a concern? Recommendations from medical experts and researchers suggest that the potential benefits of fish or fish oil consumption far outweigh the risks of some mercury consumption, as long as mercury consumption remains at low levels.2,3,5 The Environmental Protection Agency recommends avoidance of fish higher in mercury and consumption of up to 12 ounces per week of a variety of “oily,” low-mercury fish.3 A little known fact – this recommendation was originally made for women of child-bearing age, nursing mothers and young children.3 What about the rest of us? 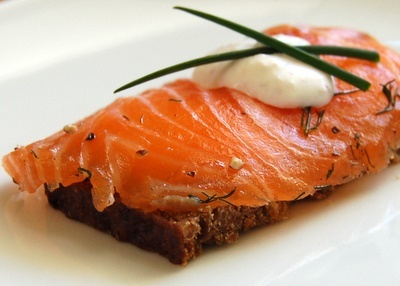 Medical experts are currently recommending 1-2 servings (six ounce servings) per week of oily fish, or one gram of fish oil per day.2 To lower triglyceride levels, up to three–four grams per day may be necessary.2 However, each person is unique, so talk to your doctor about weighing the risks and benefits before writing a self-prescription for disease prevention – and avoid mercury poisoning. This article is intended for informational purposes only. It is not intended as a substitute for medical advice, or to treat or prevent any disease. Please talk to your doctor about available options. Bradley MA, Barst BD, Basu N. A review of mercury bioavailability in humans and fish. International Journal of Environmental Research and Public Health. 2017; 14(2): [E169]. doi: 3390/ijerph14020169. Schecter A, Cramer P, Boggess K, et. al. Intake of dioxins and related compounds from food in the U.S. population. J Toxicol Environ Health A. 2001; 63(1): 1-18. doi: 1080/152873901750128326. Easton MDL, Lusziak D, Von der Geest E. Preliminary examination of contaminant loadings in farmed salmon, wild salmon and commercial salmon feed. Chemosphere. 2002; 46(7): 1053-1074. doi: 1016/S0045-6535(01)00136-9. Strobel C, Jahreis G, Kuhnt K. Survey of n-3 and n-6 polyunsaturated fatty acids in fish and fish products. Lipids in Health and Disease. 2012; 11: 144. doi: 10.1186/1476-511X-11-144.